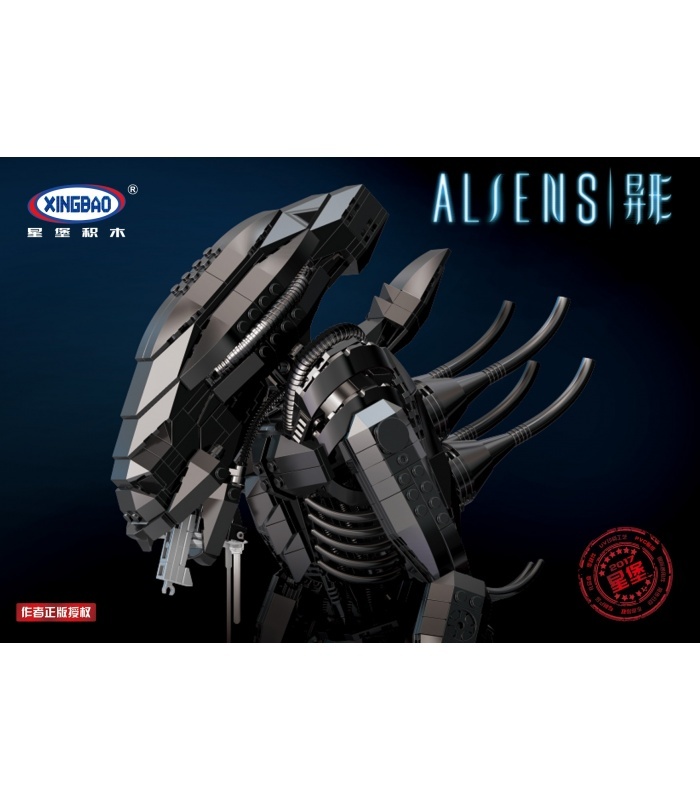 XINGBAO 04001 Movie Series Aliens Xenomorph Warrior is a MOC (My Own Creation) building blocks set which is 100% compatible with all major brands building bricks. 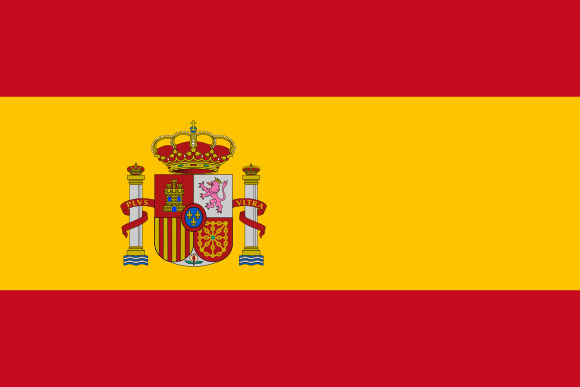 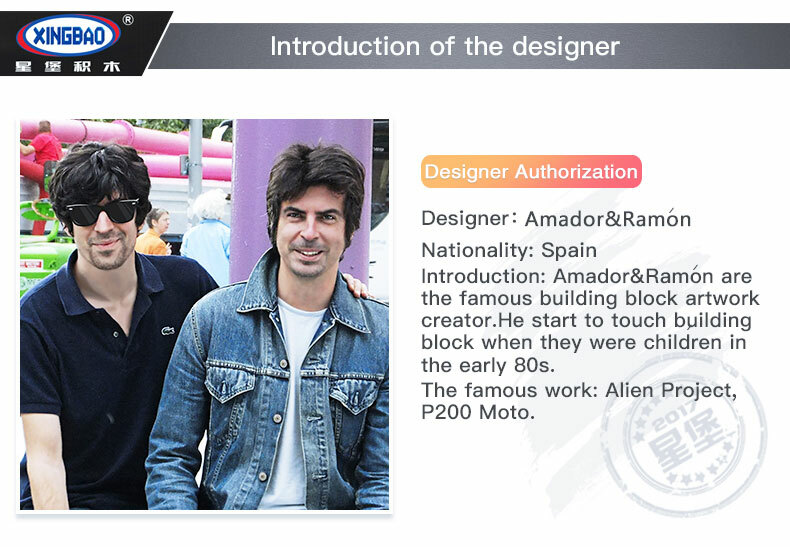 The “Arvo Brothers” of Spain have become famous in the AFOL community for their intricate designs based on popular culture. 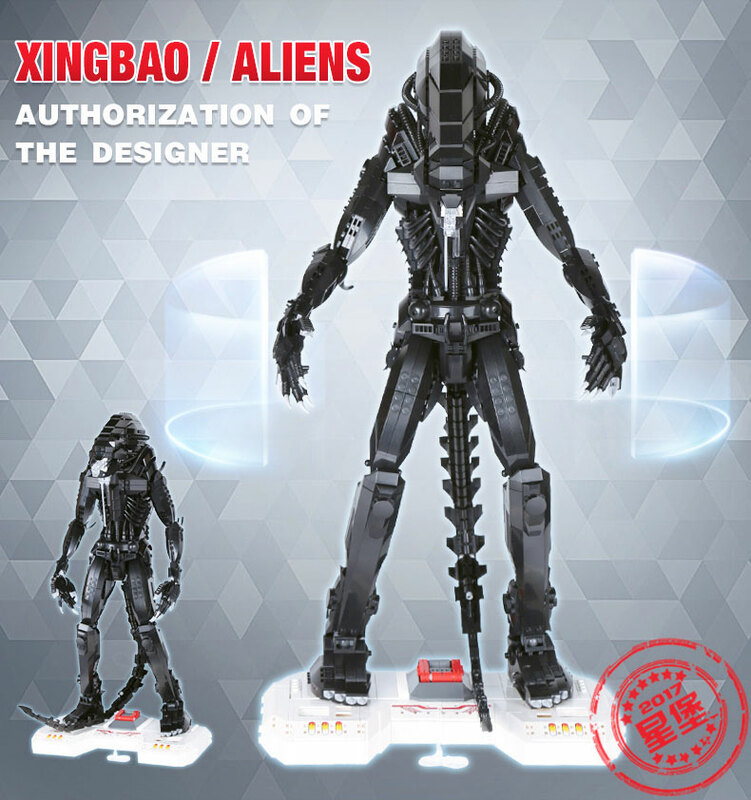 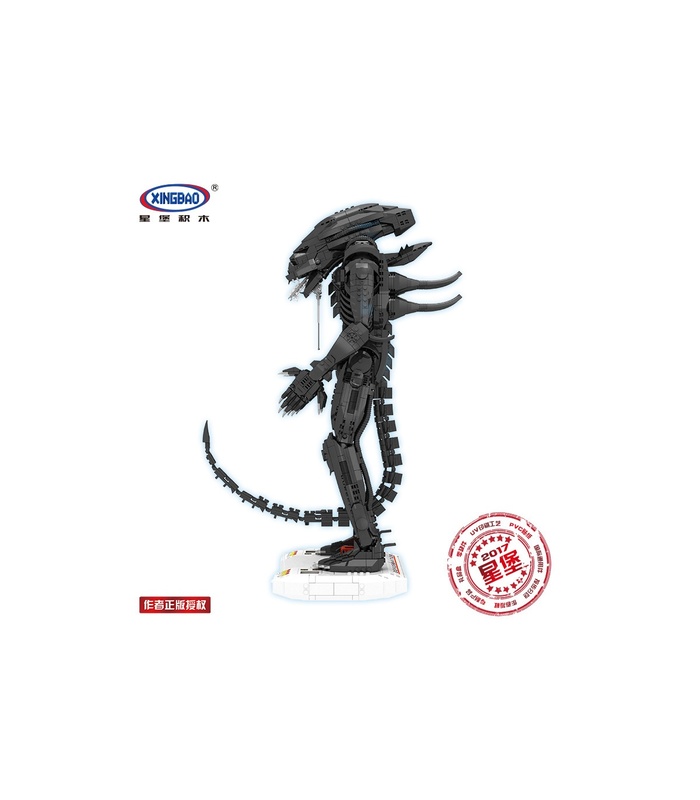 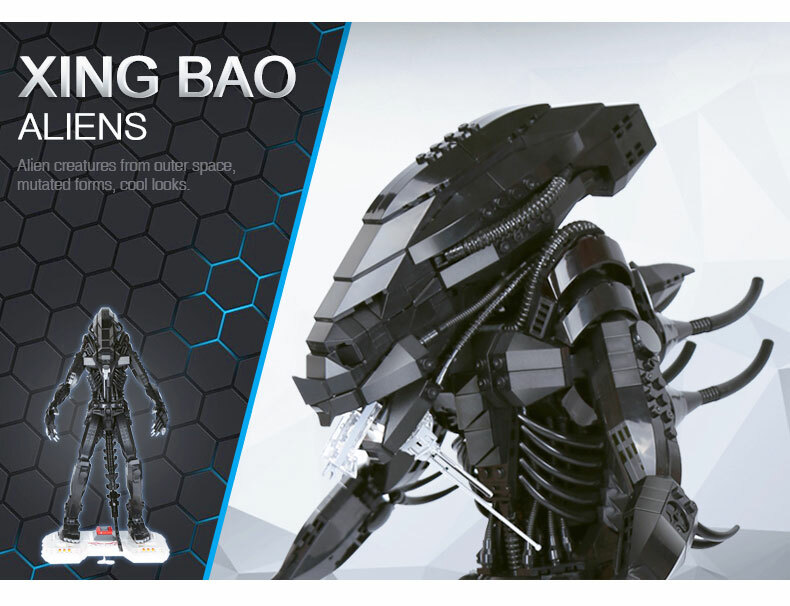 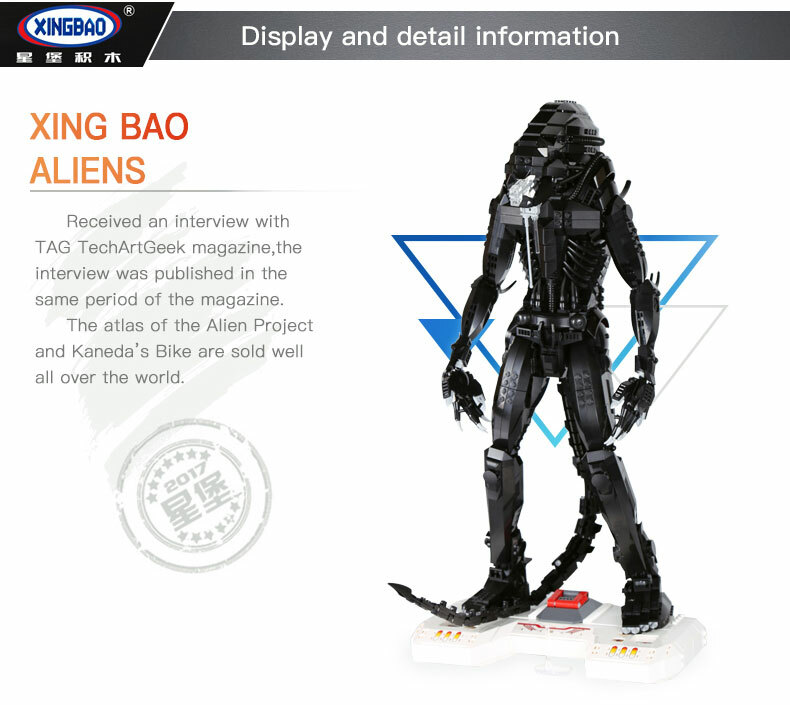 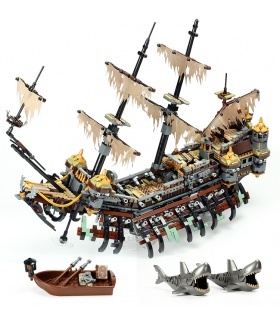 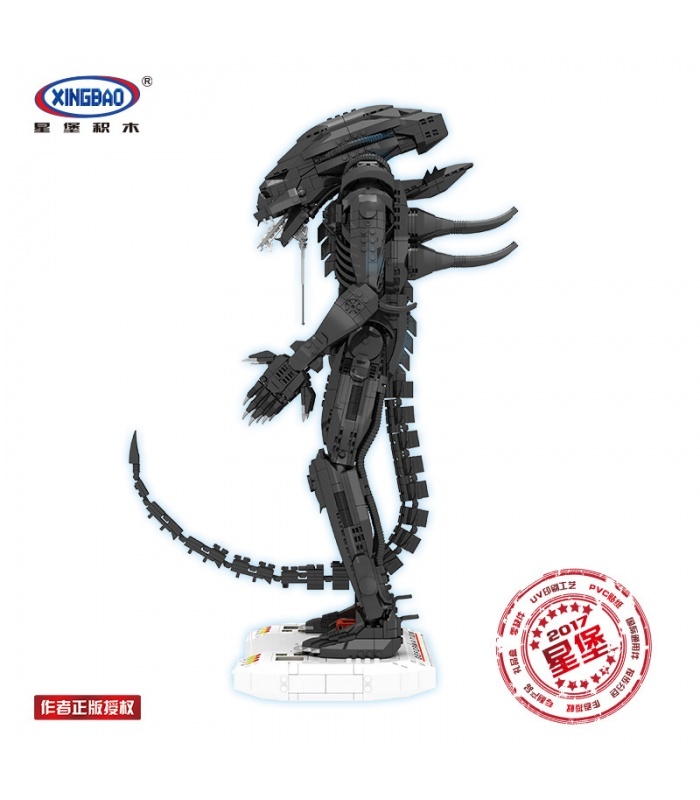 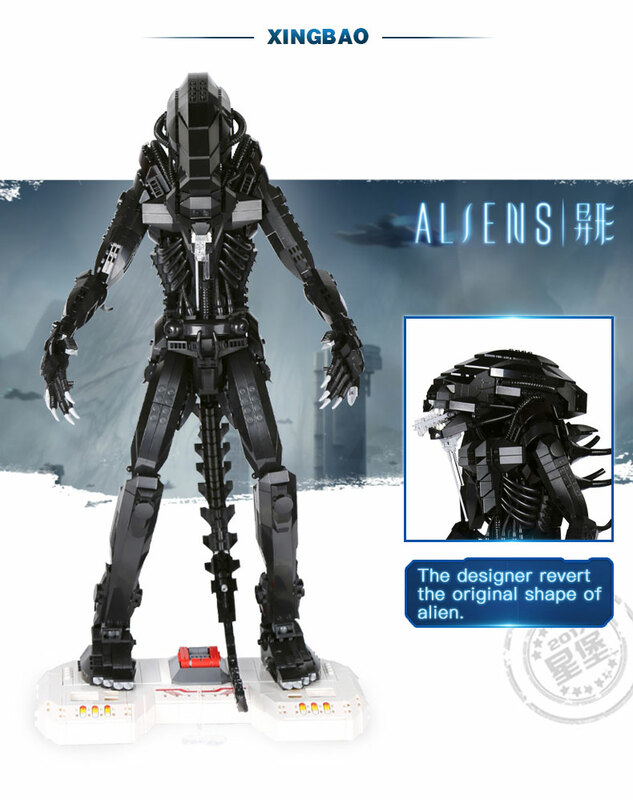 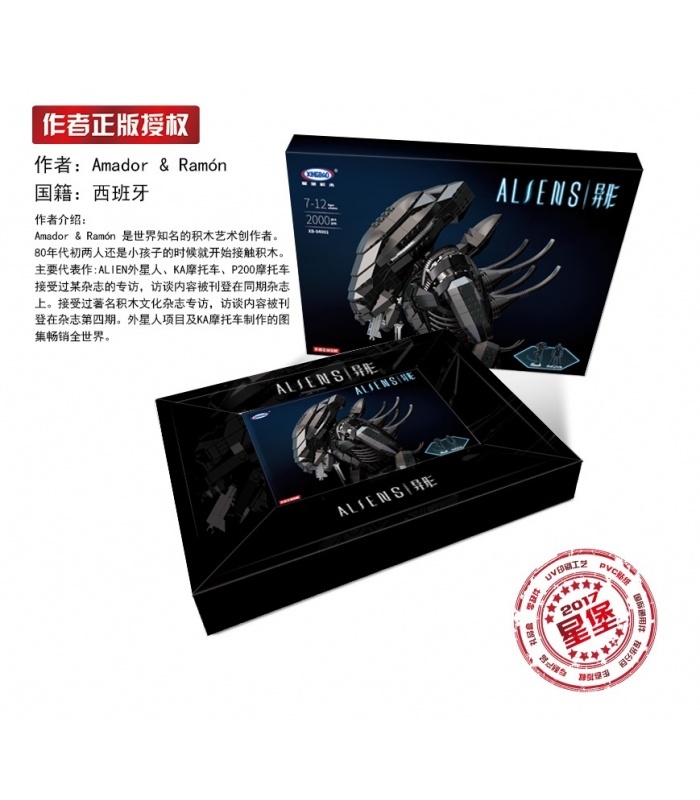 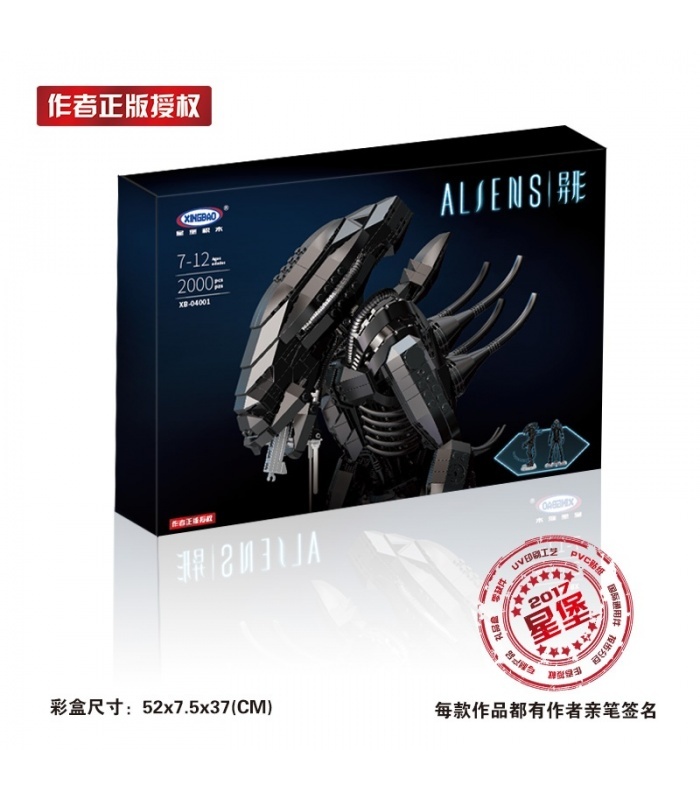 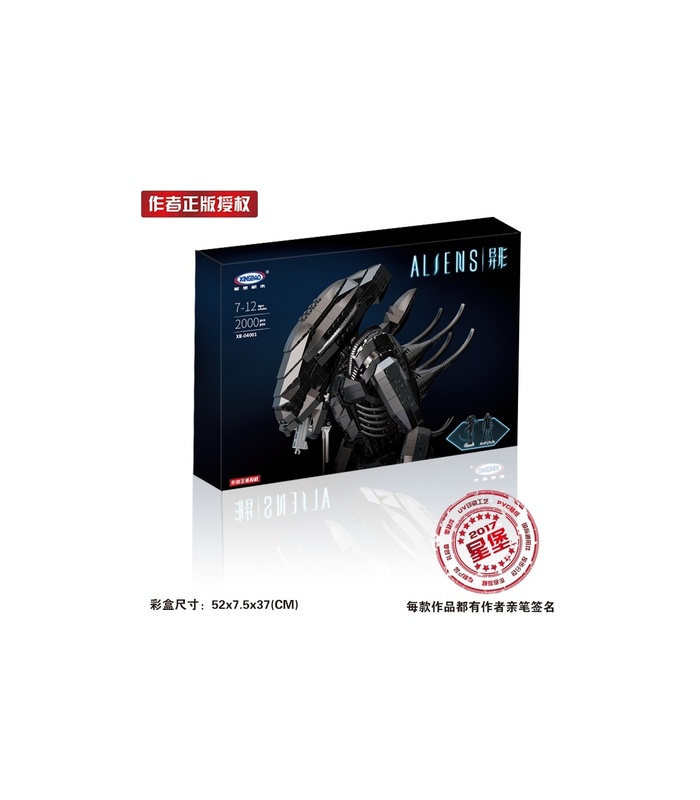 Teaming up with Xingbao, they bring their well-known design for the Alien Xenomorph Warrior to brick fans around the world. 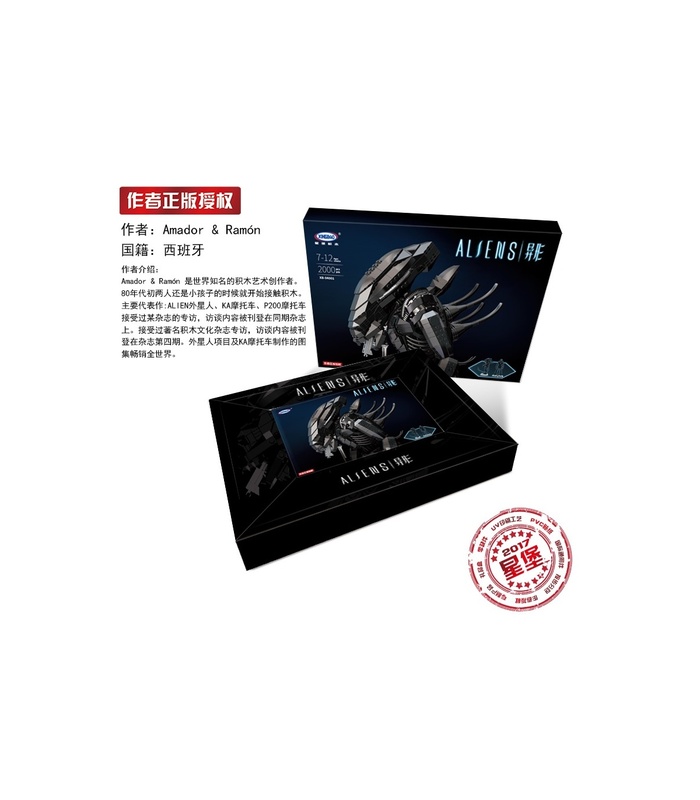 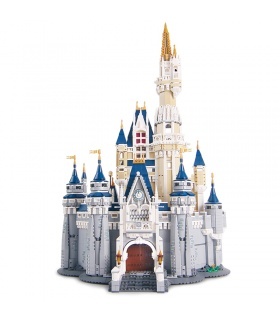 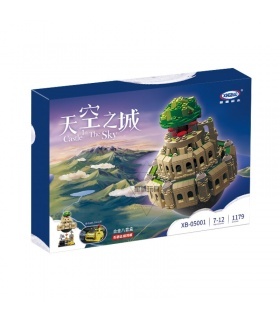 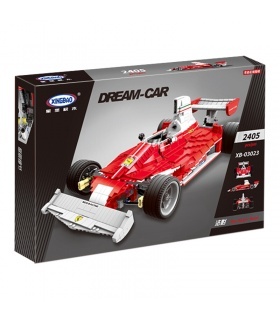 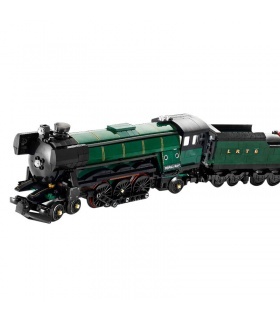 This set comes packaged in a deluxe embossed box with holographic prism effects, giving the builder a glimpse of the quality build they are about to embark upon. 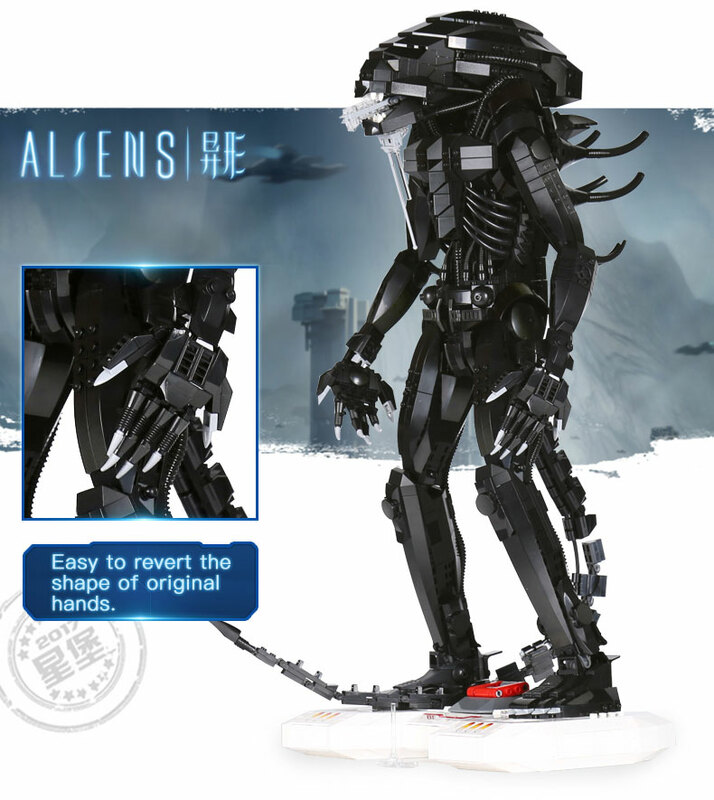 Based upon horror storyteller H.R. 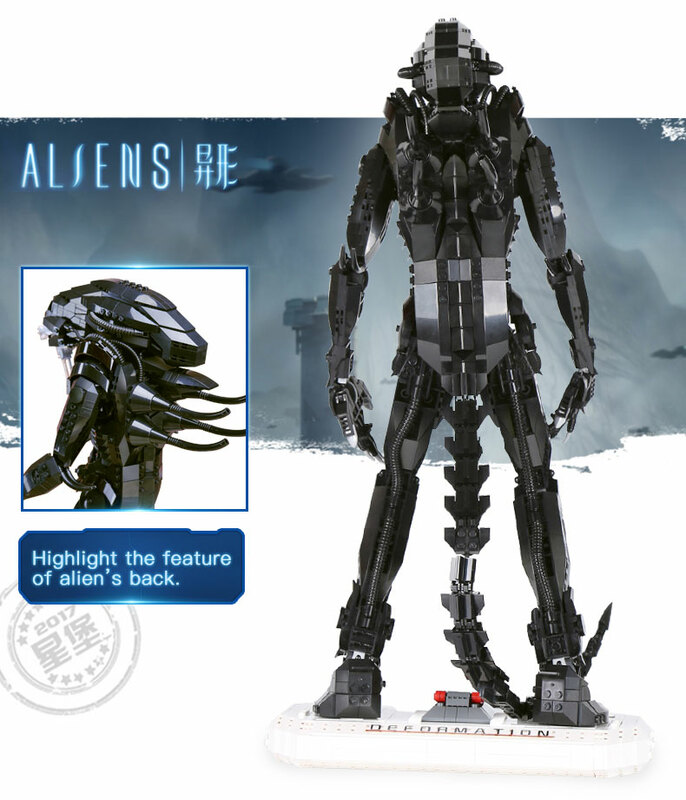 Giger’s famous creature from the film “Alien”, this 2,020 piece model yields a 53 cm-tall representation of the warrior. 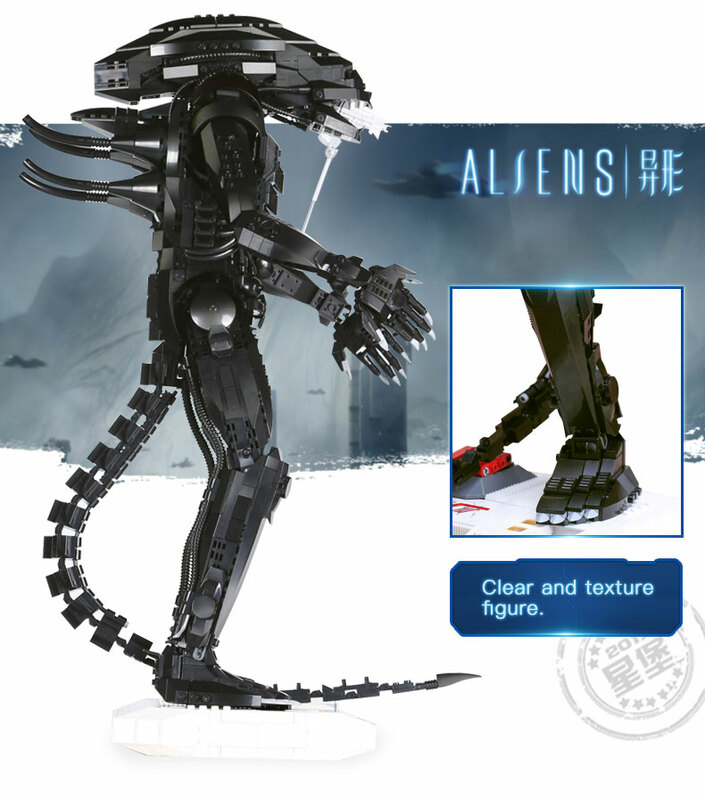 Poised upon a sturdy base, the Alien’s limbs and hands are posable, allowing you to create horrific scenes from the film or your imagination. 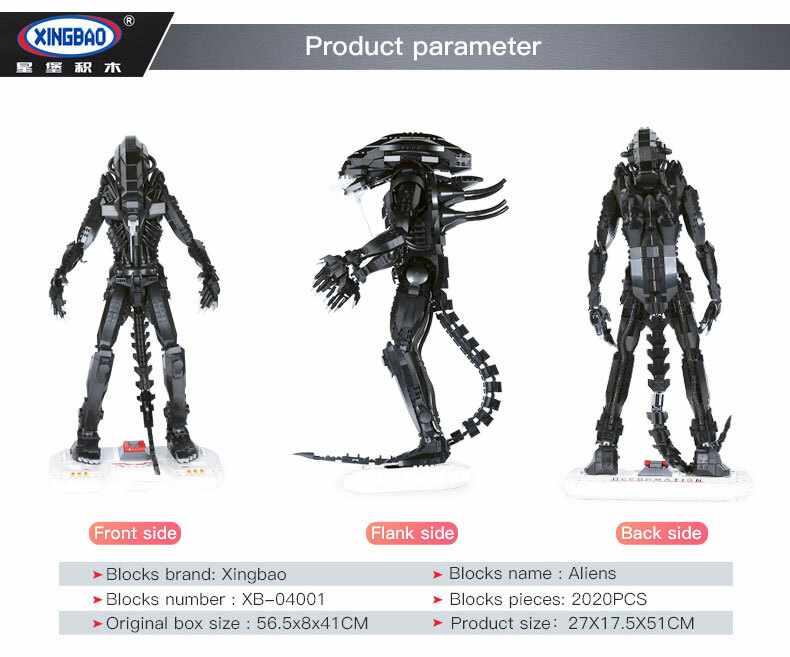 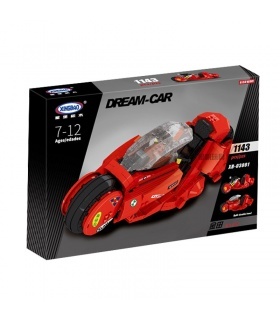 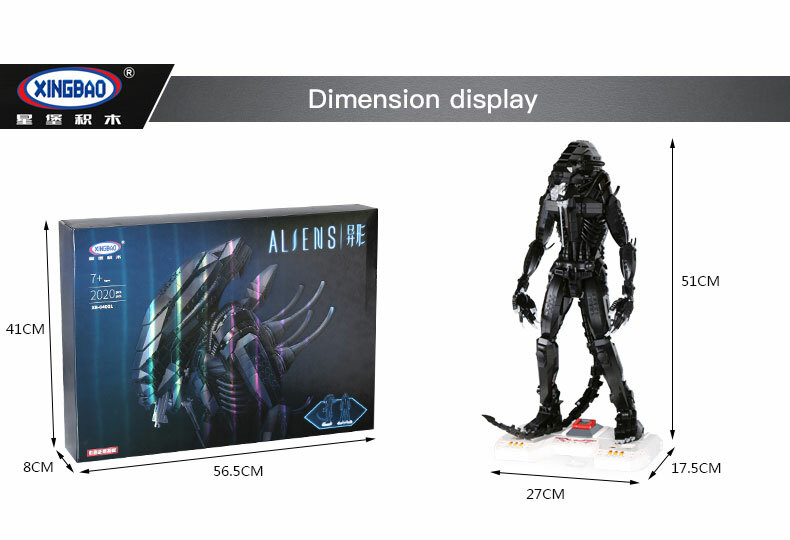 Parts and instructions are also included for two variations of the Alien’s back.